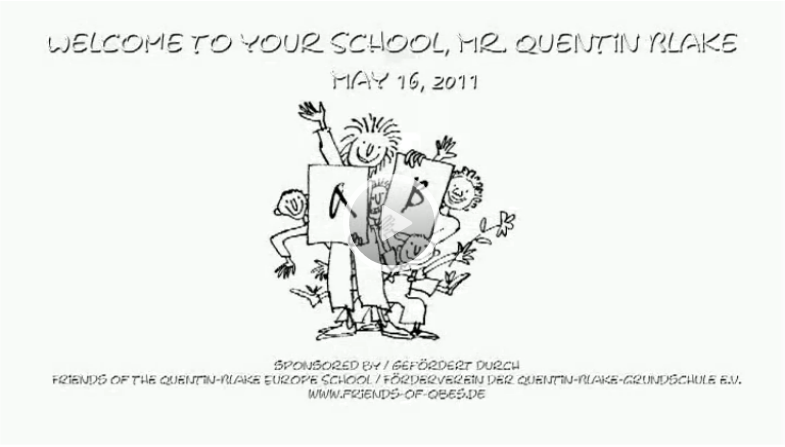 On 16th May 2011 Quentin Blake visited our school for the third time. First he stopped by our school library, where he was charmed to find one of his illustrations painted on the door and amazed to see books he had written and/or illustrated proudly displayed all over. “I didn’t realize I’d done so many books,” he exclaimed. Then he proceeded to the sport hall, where the students eagerly hearkened his words and watched in fascination as he magically produced fantastical drawings to inspire their imagination in art and writing, while explaining that the beauty of art is how it enables us to let fantasy become reality. Thus he created charming figures with five legs, arms and wings and challenged the children to write about such a figure or to draw their own. He was most appreciative of the effort the students and staff had put into decorating the school for his visit. The countless cockatoos hanging from the walls and ceilings were especially well received, as he remarked that he simply loves birds. 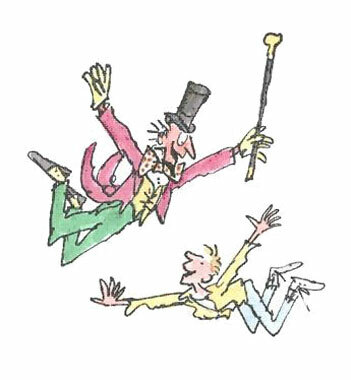 He left us grateful that he had come and newly inspired by our namesake, Quentin Blake.